Narratives » From Wrestling to Sortition: How the Participants of Consultative Peace Jirga are Selected in the Provinces? From Wrestling to Sortition: How the Participants of Consultative Peace Jirga are Selected in the Provinces? The selection of Peace Consultative Jirga members has been reportedly challenging in some provinces of Afghanistan and many of these provinces have so far failed to introduce participant members to the organizing committee of the Jirga. Reports from Ghazni province indicate that some citizens in the center of the province want more contributions, therefore, the selection process has not yet been finalized and still remains a problem. But Nasir Ahmad Faqiri, head of Ghazni provincial council, told Reporterly that they are currently working on counting the votes and they were supposed to announce the result for organizing committee of Jirga in Kabul by the end of Thursday, April 10. The selection of Takhar representatives for Peace Consultative Jirga, spotted in media wherein photos depicting the means of selecting representatives of the province has been featured in social media networks. But many social media users have said that the method of selecting the members of the Consultative Jirga in the province has been lottery based. But Takhar province officials reject such election procedure of Peace Consultative Jirga participants in Takhar and stress that this is social media propaganda. “These are Facebook propaganda and we chose the members of the Jirga through legal elections. 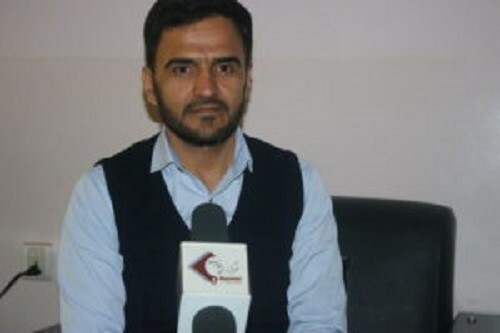 Neither by wrestling, nor by sortition, because through wrestling someone might end up as representative for the Jirga who may not be qualified and doesn’t deserve to represent people, neither will they have something of value to share in Consultative Peace Jirga,” Jawad Hijri spokesman of Takhar province told Reporterly. The traditional way of selecting representatives of Peace Consultative Jirga has caused the process to became challenging as well violent in several provinces including Herat, Ghazni, Jawzjan, Takhar, Sar-e Pol and several other provinces. In Herat province, a video which was featured and circulated in social media depicted the voting process of candidates for Consultative Jirga, and it showed that the process turned violent. The security forces were forced to use their weapons to maintain the situation under control. Many women in Herat province emphasize that a large number of women were deprived to cast their vote for representatives of Consultative Jirga due to disobedience and some of women returned to their homes without even casting their votes. Some legal experts expressed that the use of such traditional selection methods can be challenging and controversial. 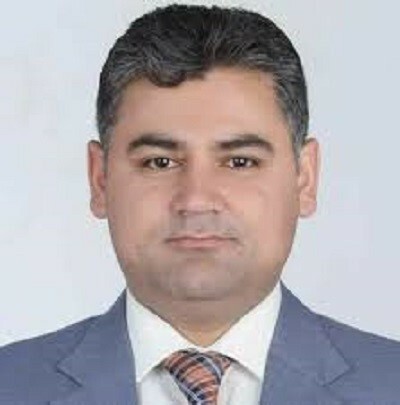 Abdul Wahid Farzaie, a member of Afghanistan Lawyers’ Association told Reportely that such Jirgas are not constitutional, and such a Jirga is a political trick rather than a consultative process. According to him the members of the Jirga are selected from the representatives who are already elected. He stressed that members of the provincial councils, along with members of the two houses (parliament and the Senate) as well as representatives of political parties and civil society, and some of the members of the cabinet, could participate in the Jirga as representatives of people who could not see the process to face conflict. But members of Peace Consultative Jirga Commission in Kabul say that they have asked on local officials to consider transparency in this regard. A number of Afghan youth in Kabul objected to the exclusion of their demographic group from the Peace Consultative Jirga. One of the Peace Consultative Jirga committees was the Youth Committee of the Jirga’s governing body, which consisted of a number of young people from different provinces. The committee’s main mandate is to include two specific items, including coordination with active and youth-oriented institutions and other new generation activists throughout Afghanistan, and the elaboration of the presence of elite youth in the Jirga. Members of the committee say that they have worked for about 50 days in this regard, but due to changes in the policies and approaches of the Jirga managers, they not only disqualified the youth committee, but refused to even give a role to the youth to participate in the Consultative Peace Jirga. Sangar Amirzadah, a member of youth committee of Consultative Peace Jirga , told Reporterly that, after 50 days of “hard work” the members of the committee expressed their objection on this issue. Omar Daudzai and deputies of secretariat of Consultative Peace Jirga had earlier accepted 30 percent of the quota for young people to join the Loya Jirga and provisions for the same were also included in the Loya Jirga’s procedure, but once again the quota was redefined by the Loya Jirga Commission, and no type of bonus for young people and the new generation was considered. Meanwhile, some Afghan political parties objected to the method of holding the Consultative Peace Jirga and emphasized that instead of being a consultative, the Jirga is based on the government order. Atmar’s election team stressed that the Jirga’s participants are elected by government, which doesn’t really represent the whole nation. The Taliban group has proscribed the Peace Consultative Jirga and called it a fake one. This group asked people not to attend the Jirga. Previously, the head of the secretariat of High Peace Council had said that the Taliban were not being prevented from participating in the Jirga, but he had not formally invited the Taliban to the Jirga. Zabiullah Mujahid, spokesman of Taliban, had said in a statement that the government is trying to establish a consultative Loya Jirga for its survival and decide about the future of Afghanistan. However, members of the Peace Consultative Jirga Commission are currently stressing that the Taliban cannot prevent people from participating in the Jirga. The Afghan Peace Consultative Jirga is scheduled to held on 29 April 2019 in which will 2,500 people’s representatives, including government officials will participate.